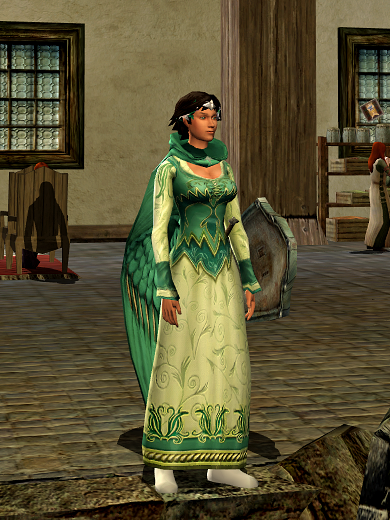 Okay, she’s actually wearing turquoise and cream, but for some reason, this outfit on Gwaewen puts me in mind of Guinevere, whose name in Welsh can – I’ve read – be translated as the “white enchantress” or the “white fay.” Not that King Arthur’s wife would bear a shield and a deadly blade, of course. 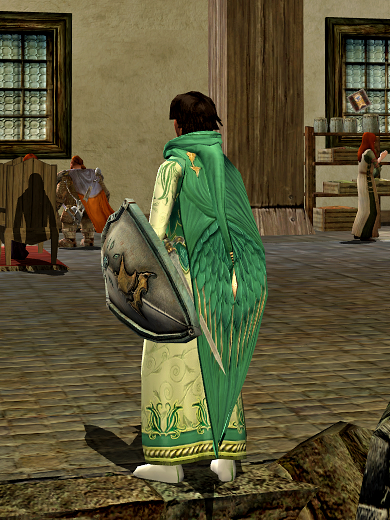 The stories might be quite different if she did. 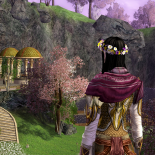 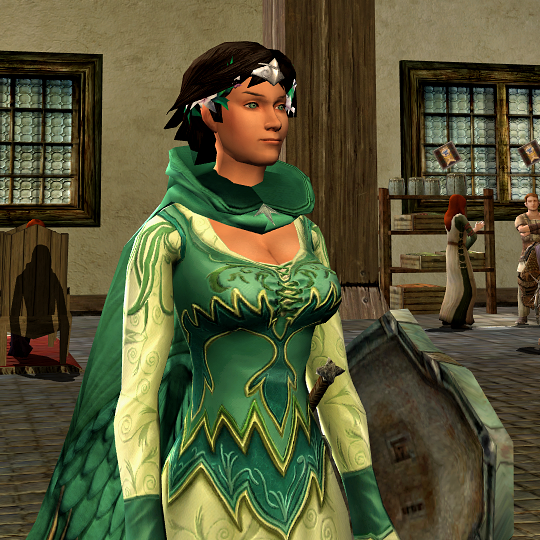 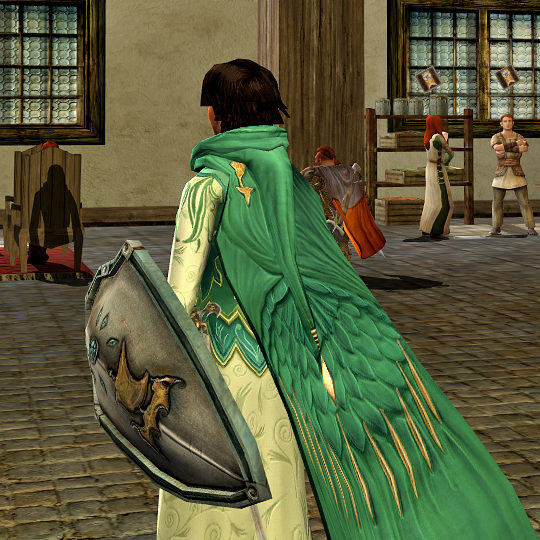 This entry was posted on 2014.06.28 by vyh in Outfits and tagged cosmetics, cream, dress, festival, green, gwaewen, lord of the rings online, lotro, outfits, turquoise, white.